Our range of products include centering machine, cnc boring, cnc cylindrical hard grinding, cnc gear hobbing, vmc drilling tapping and cnc machining. 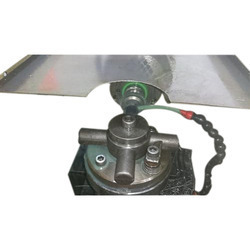 Facilitated by our sophisticated designing unit, we are offering Centering Machine. This range is precisely designed and fabricated by utilizing superior quality basic material with the aid of newest techniques under the strict supervision of diligent professionals. Moreover, our valued clients can avail this product in varied designs at a marginal price range from us. Clients can get the provided products from us at very economical prices and within given span of time. 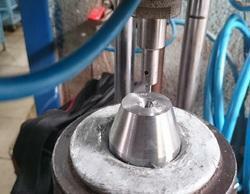 With the support of our highly professional team, we are offering a wide range of CNC Boring. It is wisely manufactured using high quality materials procured from reputed vendor in market. It is widely used in engineering and automobile industry for boring and grooving work. Our team wisely manufactures this product in strict accordance with industry standards using best quality materials. Prior to final delivery in market, this range is strictly inspected on various standard quality parameters. Machine shop equipped with measuring instruments like Height Gauges, Digital Verniers & Micrometers, assuring greater accuracies in the Products. Empowered with state-of-the-art facility, we have positioned ourselves as leading names of wide assortment of CNC Cylindrical Hard Grinding. These cylindrical hard grinding are widely used in various sectors like gear manufacturing industry, earth moving equipment manufacturing, auto industry, aerospace industry, and the likes. Our range of cylindrical hard grinding is broadly demanded for various key attributes like wide range available, computer generated design, optimum performance, semi-topping and the likes. Four Star Industries has the expertise to provide Cylindrical OD Grinding services of the highest quality. Our decades of experience in cylindrical grinding combined with CNC technology offers accurate and precise grinding for applications from single piece prototypes or reworks to large scale production applications with quantities in the millions per year. Cylindrical OD grinding is ideal for parts with single or multiple diameters that need to run concentric with each other or between centers. Our CNC dressing units and rotary dressers can produce complicated profiles, radii and spherical radii. Four Star Industries Grinding can handle components from 10 mm to 150 mm in Diameter with lengths of up to 500 mm between centers. We pride ourselves in using only the best cylindrical grinders on the market as you can tell from our extensive equipment list. Since establishment, we have been playing a lead role in offering CNC Gear Hobbing. We manufacture this gear hobbing under the strict inspection of expert supervisors using best quality mild steel and cast iron. The gear hobbing is tested on construction and efficiency parameters to provide the flawless range to clients. 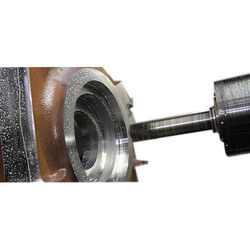 We offer this gear hobbing at affordable prices to clients and within given span of time. We have in-house precision gear hobbing machines which can hob as minimum as 0.3 module to a maximum of 3.0 module over a range of materials. The maximum diameter of the blank that can be hobbed is 200 mm for 3.0 module. We can hob SPUR, HELICAL, BEVEL & WORM profile gears. With the help of Mitutoyo instruments for Gear Metrology, we are able to confirm the gear tooth measurements to the design/drawing. Apart from the gears for our internal consumption, we offer to undertake job work for gear hobbing. With rich industry experience and knowledge, we are engaged in offering a supreme quality VMC Drilling Tapping . The offered product is manufactured by a team of adroit professionals using high grade raw material and latest technology in compliance with market prevalent norms. This product is available in different customized options as per the needs of clients' within promised time frame. We thoroughly check this range on various predefined parameters before final supply to the clients. Our company specializes in manufacturing precision machined components and executes custom orders. The well laid CNC machining center backs us to manufacture these precision machined components using various grades of raw materials. We manufacture these components from Mild Steel Forging Components etc. These machined components feature extremely close tolerance, smooth finish and dimensional stability. Owing to a long-term destination for our business, we are engaged in offering a wide gamut of Turning Components. Apart from this, to meet the variegated demands of our clients, we offer this range in different specifications.